Although the weather seems not to have been notified of the news, fall is here – and its countless pleasures are falling upon us day after day. The colorful leaves and the drying branches, while a bit sad – they signify the end of summer and the closing of winter – can serve as inspiration for some of the most wonderful DIY decorations of the season. Here are a few tips to get you started. With some wood planks you can find at home and the branches you can stumble upon when going for a jog you can create a handy, easy to assemble shelf for your wall. 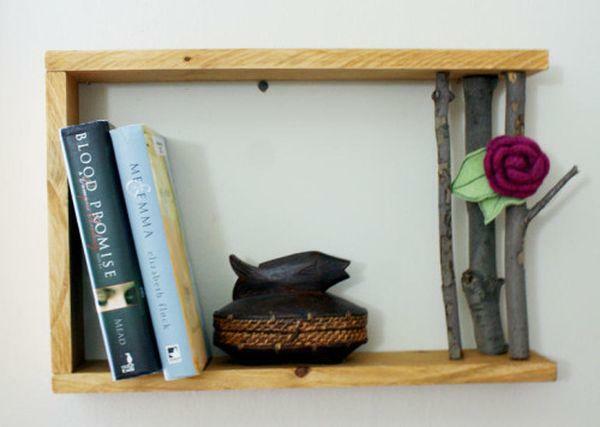 The branch will add a dash of natural feel to it, and serve as extra storage space for your stuff. 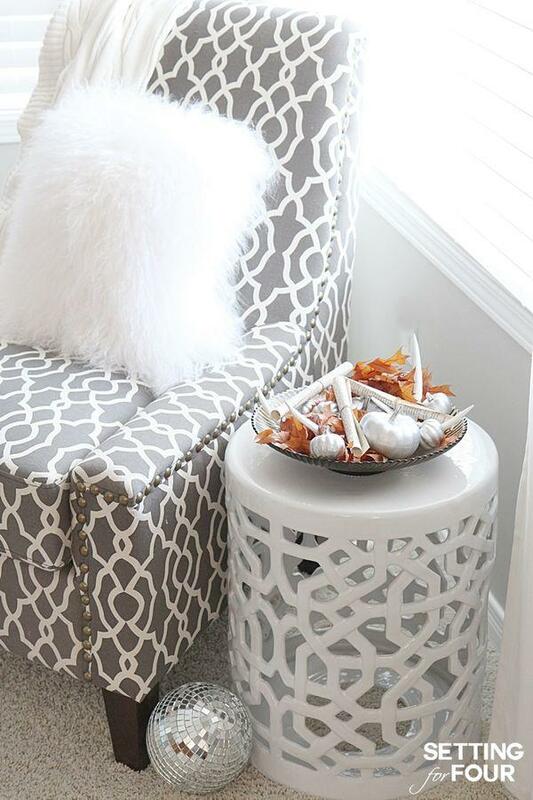 The color of falling leaves is wonderful – and you can take it in your home quickly and easily, using some white kitchen towels and some paint. 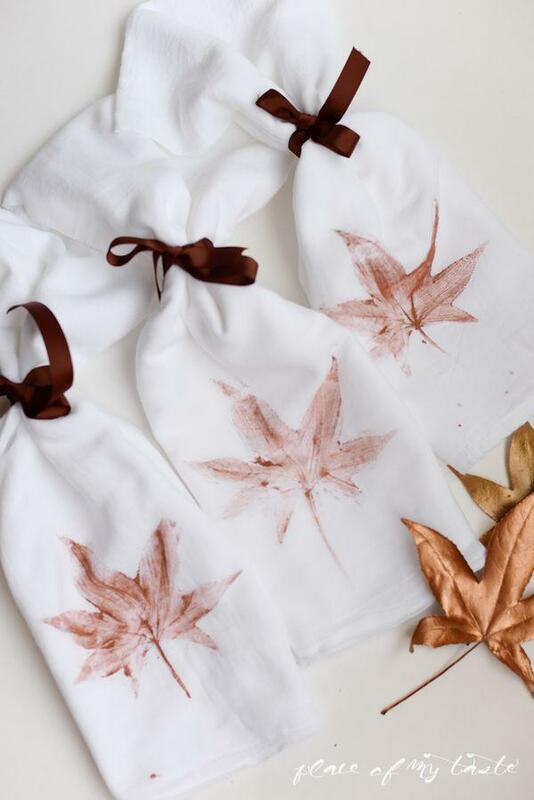 Choose the colors of the fall and print your own wonderful kitchen towels – and they look great for Halloween, too. Using just a handful of fallen, dry leaves, some creatively painted pumpkins and strips of paper you can create a wonderful centerpiece that will serve you well not just on the dinner table, but also as a room decoration day after day. Using a series of wonderful features of the fall – the fruit, the wood, the leaves and taste – Deborah has created something unique. Warm earth tones and tasty bits of food make this image complete – and complement the taste of the fall. 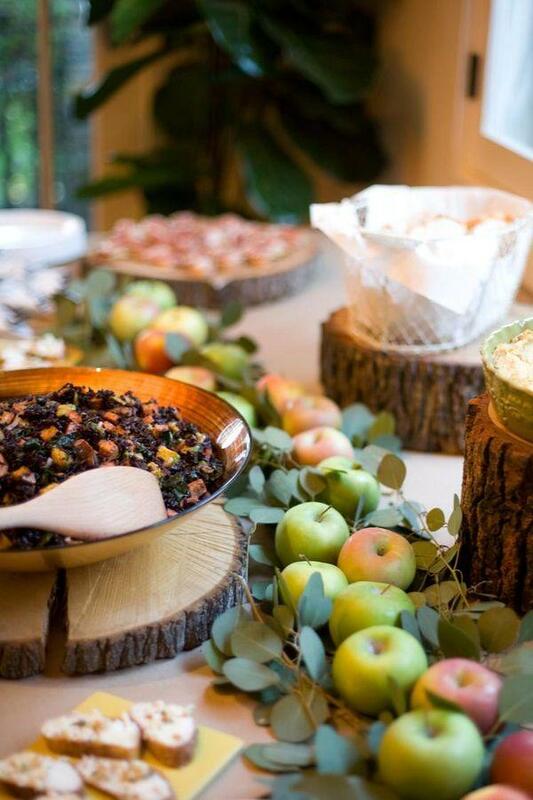 Even if you don’t hold a tasting event, some ideas from her party will surely make your table more welcoming. Copyright 2016 Decoratique.com. All RIGHTS RESERVED.